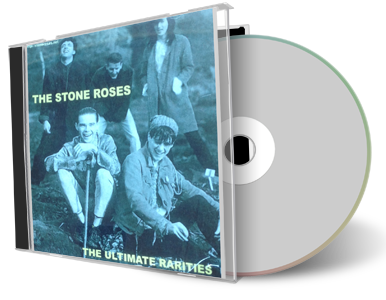 01- i wanna be adored 02- heart on the staves 03- tell me 04- this is the one 05- boy on a pedestal 06- all across the sands 07- the hadest thing in the world 08- sun still shines 09- she bangs the drums 10- waterfall 11- the hardest thing in the world 12- elephant stone 13- sun still shines 14- going down 15- sugar spun sister 16- waterfall 17- shoot you down 18- she bangs the drums 19- waterfall 20- made of stone 21- this is the one 22- elizabeth my dear tracks 1-3 - piccadilly radio session 1985/03/25 track 4 - strawberry studios demo, 1985 tracks 5-8 rehearsals, chorlton, manchester 1986 tracks 9-10 - demos, circa 1986 track 11 - demo, yacht club studios, manchester 1986 tracks 12-15 - demos, stockton road, chorlton, manchester, 1986/12/12 tracks 16-17 - demos, manchester, 1987 tracks 18-21 - demos, suite 16 studios, manchester, 1986/05/?? track 22 - demo, battery studios, london, 1989/01/? ?